‘Old songs played again’ someone said, and that’s what Torgeir Waldemar is doing on «Jamais Vu» where he is playing new versions of his old songs. But this isn’t recycling, and we can almost guarantee that you will discover something new in these songs. Both his debut album and the sequel, «No Offending Borders», were praised by national and international press, and the songs soon started to live their own life. Especially for Torgeir Waldemar himself, who continuously played different versions of the songs live, in his rehearsal space and finally in the studio. ‘Jamais vu’ is a lesser known notion than ‘déjà vu’, and its meaning is quite simply the opposite. Where ‘déjà vu’ is a new experience that feels well-known, or it’s as if you’ve experienced that situation before, ‘jamais vu' means that a well-known situation or experience feels unknown or new. «Songs never stand still, at least not for me. They want to go on. After some years of playing them live, many have moved far away from where their starting point was. That’s why I often experience Jamais Vu and that’s how this release was born», Torgeir Waldemar says. On «Jamais Vu» you’ll get «Sylvia (Southern People)», «Among the Low» and «Summer In Toulouse» from Torgeir’s latest album, «No Offending Borders», in acoustic versions, and «Streets» and «Take Me Home» from his debut album in electric versions with larger arrangements. You’ve heard the songs before, but you have never heard them like this. Torgeir Waldemar took the Norwegian people and music press by surprise with his eponymous debut album in 2014. Who had thought that the black-clad, longhaired and bearded man would deliver an album that captivated and moved us as much as it did. An acoustic masterpiece that sounded like it came straight from the rehearsal room of a young troubadour from Laurel Canyon in the seventies. While his previous album cultivated a pure, acoustic sound, we get more rock music this time, and for Torgeir Waldemar nothing is more natural. With his background as a guitar hero in various rock bands, it was only a question of time before distorted tones would assert themselves in his solo career. «No Offending Borders» is a gloriously composite work with both dead honest acoustic laments and grandiose rock songs. But the record is so much more than that, and for Torgeir this is a document that shows the seriousness we meet in our everyday lives. Both on the personal level, with relationships that falls apart and the loss of loved ones, but also on a national and global level, with refugee crises, suicide statistics and the weakest members of our society. You may have guessed it already, but this is a solemn record. 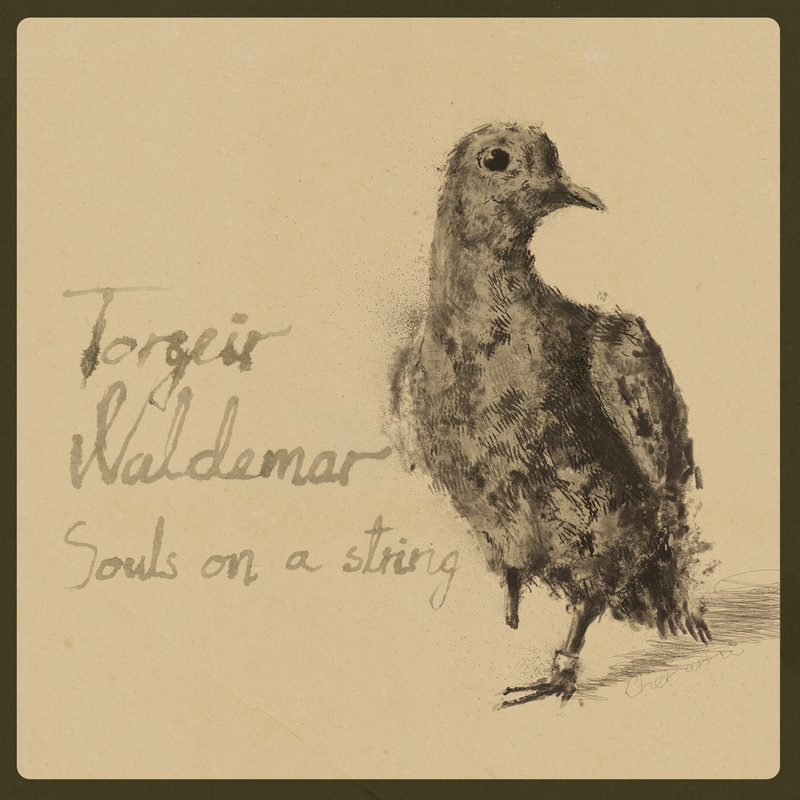 If you’re afraid that Torgeir Waldemar has turned away from what he presented on his debut album, you can relax. Here we get acoustic folk songs like «Falling Rain (Link Wray)», «Island Bliss» and «Souls on a String», but the album also contains more intense rock songs like «Summer In Toulouse», «Sylvia (Southern People)» and «Among the Low». A complete album, you might say … and we’re saying it. Aesthetically, it’s also consistent from beginning to end - nothing at all is done by chance here. The historical lines that are drawn in the cover design, are also meant to point back to ourselves and to make us conscious of our past, so that we won’t make the same mistakes again. The cover of the single «Souls on a String» featured a photo of the decorated carrier pigeon from World War I, Cher Ami. It saved a whole British company during the war, when the British were caught in a battle, without any food or ammunition. Cher Ami was sent away, and taken under fire by the enemy, but finally delivered the message that saved the British troops. The chair on the cover of «No Offending Borders» is from Kviknes Hotel in Balestrand. This is the chair that Wilhelm II, the King of Prussia and Emperor of Germany, was sitting in when he was told that World War I had started. Wilhelm II was a friend of Norway and spent much time on the west coast in the early 1900s. What would you have done if you were sitting in that chair and received that message? Sit down, think thoroughly about it, while you’re listening to «No Offending Borders». It was recorded at Crystal Canyon/Subsonic Society Studio in Oslo with producer/engineer Ander Møller. Torgeir Waldemar: Guitar, lapsteel, Hammond organ, vocals, bass. Cover art by Øyvind Kaasa. The song is released on the new label "Leather Boots Records" and is available on digital streaming and downloads. Torgeir will also release some new stuff durign the fall, but the date is not set yet. There will also be a Norwegian tour in November. Stick around for dates.